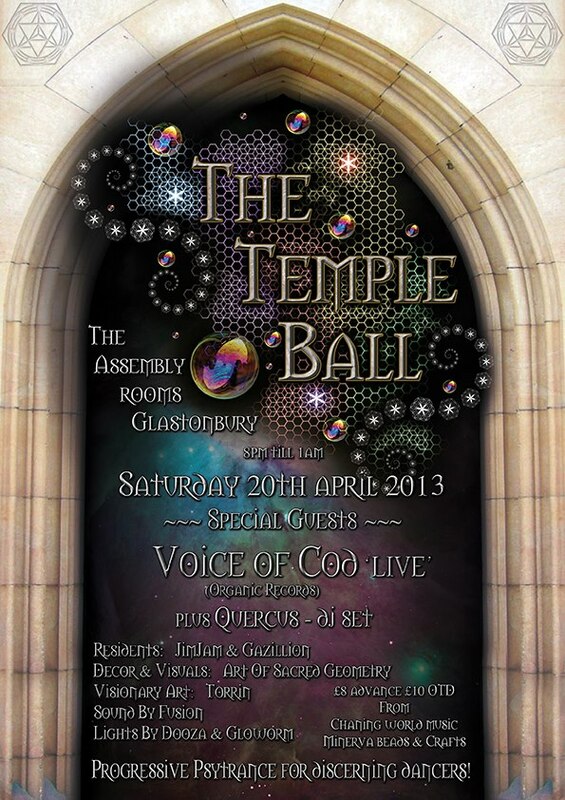 Finally I can tell you about the next Temple Ball, due to take place on the 20th April at The Assembly Rooms, Glastonbury. Special Guests: Voice of Code LIVE and Quercus. Resident DJs: Gazillion and JimJam. Visuals and Decore by Art of Sacred Geometry. Doors open at 8pm and close at 1pm. All this for £8 in advance of £10 on the door. Posted in Dooza Lighting, Gigs, Lighting and tagged The Temple Ball.